Discussion: Black Seed Oil, also known as Nigella Sativa, has been used as an herbal remedy with origins in Egypt as far back as 3,300 years ago. Black Seed Oil has many uses and is still widely popular because of its reputed nutritive qualities and powerful antioxidant properties. 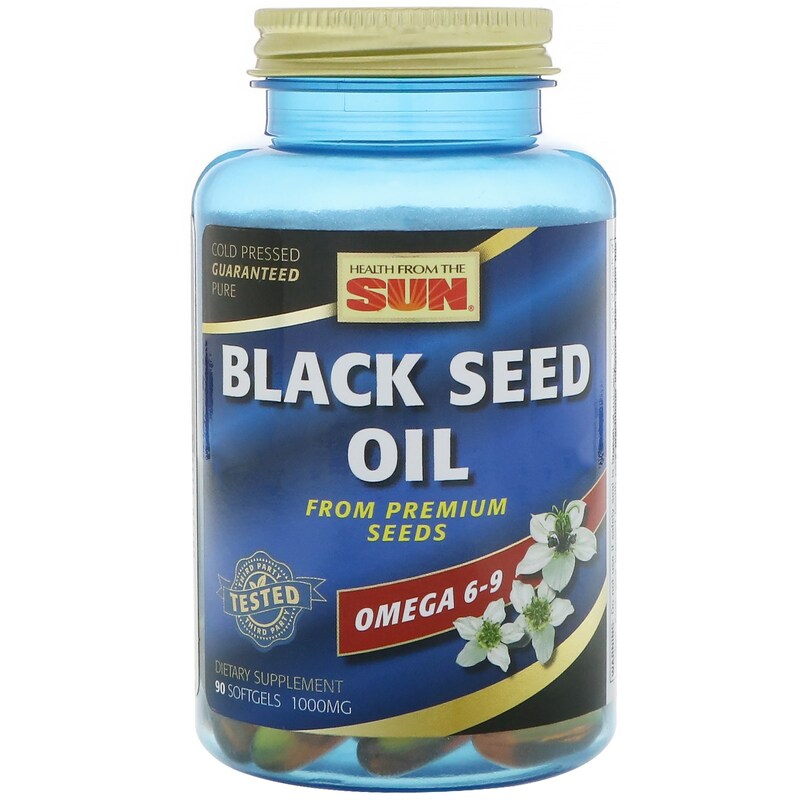 Health From The Sun Black Seed Oil typically providing Thymoquinone and Nigellone, may provide nutritive support for healthy immune system function and the digestive track. In addition to Thymoquinone and Nigellone, Black Seed Oil typically provides Omega- 6 & 9, Palmitic acid, Stearic acid and Eicosadienic acid. 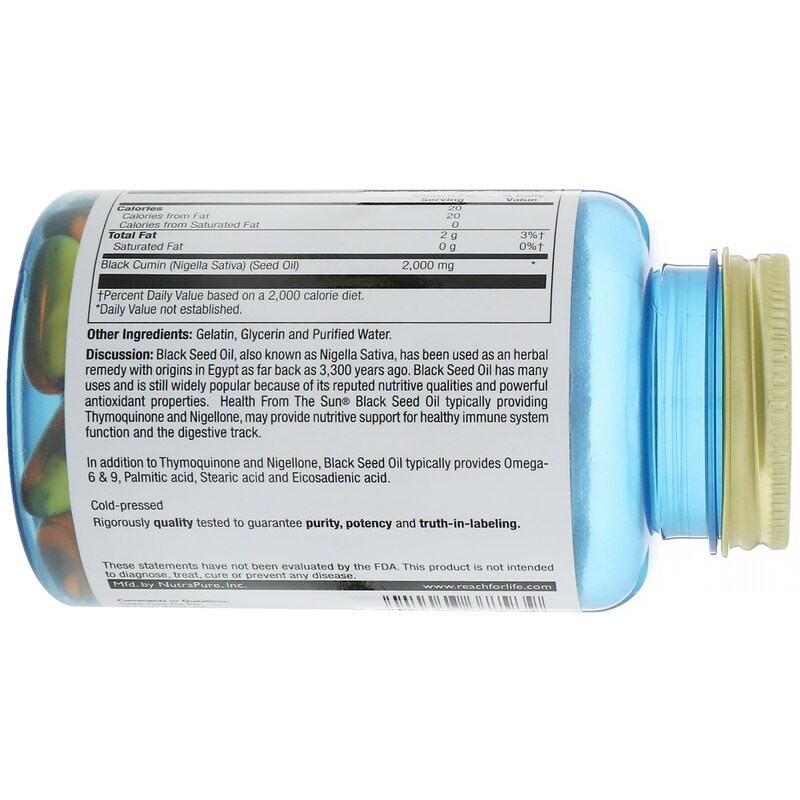 Cold-pressed rigorously quality tested to guarantee purity, potency and truth-in-labeling. Use only as directed. 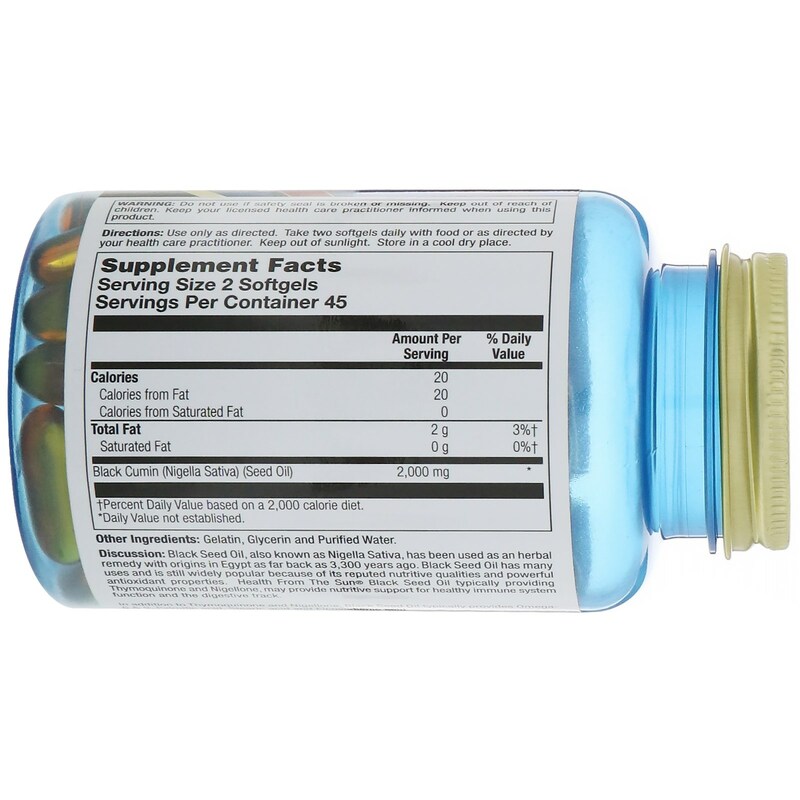 Take two softgels daily with food or as directed by your health care practitioner. Keep out of sunlight. Store in a cool dry place.